Axis Communications, the global market leader in network video, today presents new fixed network cameras in the robust and successful AXIS P13 Series. By bringing in the latest technology, including Lightfinder, the cameras offer greatly improved image quality and enhanced processing performance. The new AXIS P13 Network Cameras, available in indoor and outdoor-ready models, are suitable for numerous applications, including low light conditions. The new technology makes these cameras great in city surveillance, for transportation, retail, education, banking, industrial and more. “By bringing advanced technology from the AXIS Q16 Series into the new AXIS P13 Series cameras the image quality has been further improved. By keeping the same physical form factor and the same lens mount as the established AXIS P13 models, customers can easily upgrade or add cameras to their existing installation. These cameras also offer increased processing power, allowing for greatly enhanced performance in image processing. Furthermore, they have also been equipped with a serial port for pan/tilt head which enables operators to remotely change the camera direction. All in all we have made the great AXIS P13 Series even better,” says Erik Frännlid, Director of Product Management, Axis Communications. The new AXIS P1354 and the equivalent outdoor-ready AXIS P1354-E cameras provide HDTV 720p resolution based on a top-quality, 1/3″ image sensor. AXIS P1353 and the outdoor-ready AXIS P1353-E cameras provide SVGA resolution. 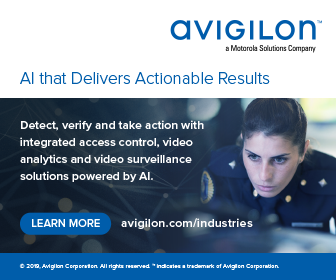 They are supported by the industry’s largest base of video management software through the Axis Application Development Partner Program , and AXIS Camera Station. The cameras include support for AXIS Camera Application Platform , AXIS Video Hosting System and ONVIF for easy camera system integration and for application developers to provide the camera with intelligent capabilities. The new models support edge storage and are equipped with a microSD/microSDHC-slot. Together with the free AXIS Camera Companion, this enables users to get an easy way to remotely view and manage video from up to 16 cameras per site. AXIS P1353/-E and AXIS P1354/-E are also equipped with a serial port for pan/tilt head and other accessories. They are quick and easy to install, including remote zoom and focus for fine tuning and pixel counter to ensure the camera’s angle of view is optimized for the area to be monitored at the required pixel resolution. The support for standard, environment-friendly Power over Ethernet requires only one network cable to carry both power and data. This is the case even for the weatherproof models that operate in extreme temperatures from -40 °C to 50 °C (-40 °F to 122°F). The cameras will be available in Q4 2012 through Axis’ distribution channels. For photos and other resources, please visit: www.axis.com/corporate/press/press_material.htm?key=p13series. Check out the Redvision X-SERIES™ camera video – security cameras don’t get any more flexible than this!